You may not know the name Morton Schindel, but you certainly know the people he worked with. At his Weston Woods Studios, using his “iconographic” technique, he adapted works by Maurice Sendak, Robert McCloskey, James Daugherty, Ezra Jack Keats, Tomi Ungerer, and William Steig, among others. His film of Steig’s Doctor De Soto was nominated for an Academy Award. Schindel passed away a month ago, at the age of 98, but I just learned of this yesterday. In June 2001, while working on my biography of Crockett Johnson and Ruth Krauss, I went to Weston Woods‘ offices in Connecticut, and interviewed Schindel. I had only a passing familiarity with his works (having seen some when I was a schoolchild), and so my questions were less informed than I would have liked. But Mort very graciously told me about his life, career, and acquaintance with Dave (a.k.a. Crockett Johnson) and Ruth. Schindel: Eventually, probably in the late ’50s, I took an interest in [Krauss’s] A Hole Is to Dig. Ruth and Dave were still living in Rowayton, but not long after that they moved up to Owenoke Park in Westport. And, we would get together ostensibly to talk about their work or our work, but in this field, there’s not much of a dividing line between the work you’re doing and the personal relationships that you develop. That’s one of the joys of the whole thing. And I can remember that I always felt that I could do a better job if I knew where it [the work to be adapted] was coming from. And the more I knew about the people and how the book developed, the better. The main thing that I can remember about A Hole Is to Dig was that I asked Ruth whether she really picked up these sayings from kids. And in her inimitable style, I can remember a cackling laugh, and her saying almost apologetically with a big broad smile that no, most of it had been her idea. And, obviously it was a good idea that was strongly supported by wonderful drawings which Maurice did. And I think that that was their first collaboration. Schindel: And I think it was one that they both treasured because Maurice was relatively new at that time. And, I’m quite sure it was Ruth’s most successful book up until then. She had another one that I think was called The Growing Story, by Phyllis Rowand, I think – is that right? Nel: Yes. Nina is her daughter. Schindel: My memory is better than I thought. We were interested in that one but for some reason we never did it. Well, the reason was is that it was for very young children, and in the beginning for the first several years, I was making films and then filmstrips. But preschools didn’t have filmstrip projectors…. Now, another thing is that – just trying to pull all this together – at a certain point, I had decided to make some biographical films of children’s book illustrators and actually in the beginning I don’t think I started with the idea that I was going to make films. I think I wanted to share these people with people in the schools and nobody tried to do that, and I didn’t know how to do it. So, the logical place to start would be to do interviews with them, and then see what I could edit out of the interview, and then make them available on tape. I did a little series called Talent on Tape. And, I think the most successful one I did was May Massey because I still get requests for that one. And it’s been put into some useful collections. May, you know, was regarded as the principal editor of children’s books in the early days. She was the editor at Viking Press, and she nurtured people like McCloskey and Don Freeman and people like that. So, the tape that I made about her I think was the only one that existed. So, most collections that had been collecting things about children’s books would like to have that tape. Anyway, that’s leading up to the fact that I recall doing one with Dave and Ruth. What I would do is I would conduct an interview with them and then I would sit down and try to edit it into something that makes sense. And what took maybe two hours would maybe get edited down to 10 or 15 minutes sometimes. I distinctly remember working on the one that I did with Ruth and Dave. And I was interviewing them together. And it says something about their reluctance to express themselves orally because I had this hour or so of tape – could have been less because maybe they were not as crazy about expressing themselves verbally – and when I was all through editing it, I had a piece of tape that was about two inches long. There was just nothing. It was all kind of – I can’t say it was gibberish – but it was more sounds than it was continuity of words. I think that that’s – it says something about how they communicated. To this day, I have never seen any footage of either Crocket Johnson and Ruth Krauss. Given their prominence in the world of children’s books (as well as Johnson’s work in comics and Krauss’s in avant-garde theatre), this surprises me. I assume that somewhere, in some vault, there’s film of them. But I’ve never seen it. His [Dave’s] expression and everything was hearty, there was an obvious strength. Ruth was diminutive, even next to a man of normal stature, and she squeaked as much as she talked, if you know what I mean. You know, I’m filling in now some of the nuances for you, since you said you obviously never met them, and you have to pick all of this up from hearsay. Strangely enough, Ruth came across as a bit of a kooky artist, and Dave was all the way in the other direction. Put a bowler on him, he could have been a banker. Obviously, they were both exceptionally fine artists. In my biography, I describe Johnson and Krauss as “complimentary opposites.” He’s one of many people whose memories conveyed that impression. When I left, he insisted I take some videocassettes (this was 2001), including one on Robert McCloskey and one on Gene Deitch — who animated two of the Harold films that Weston Woods distributed. Indeed, it was Gene’s Facebook feed that alerted me to Mort’s death. 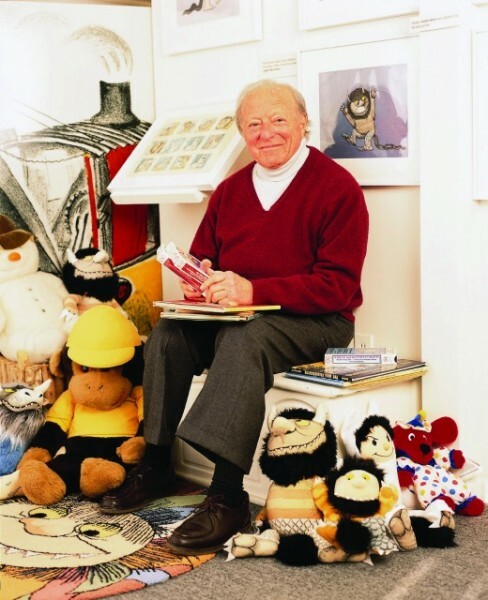 Morton Schindel was one of the last of his generation of children’s-book people. With his passing, a good bit of the history of children’s literature also leaves us. I feel very fortunate to have had a chance to talk with him and dozens of other artists, writers, and filmmakers. So many are now gone. Shannon Maughan, “Obituary: Morton Schindel,” Publishers Weekly, 22 Aug. 2016. Daniel E. Slotnick, “Morton Schindel, Who Turned Children’s Books Into Animated Films, Dies at 98,” New York Times, 24 Aug. 2016. 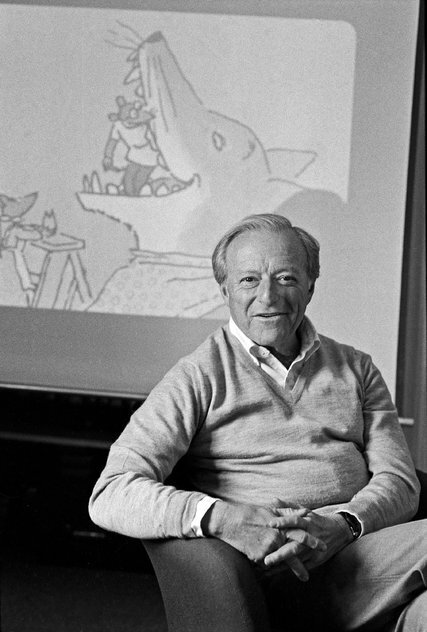 Photo of Morton Schindel from Scholastic (and included in the SLJ obit). Photo of Morton Schindel: Joyce Dopkeen/The New York Times (and included in the NYT obit). 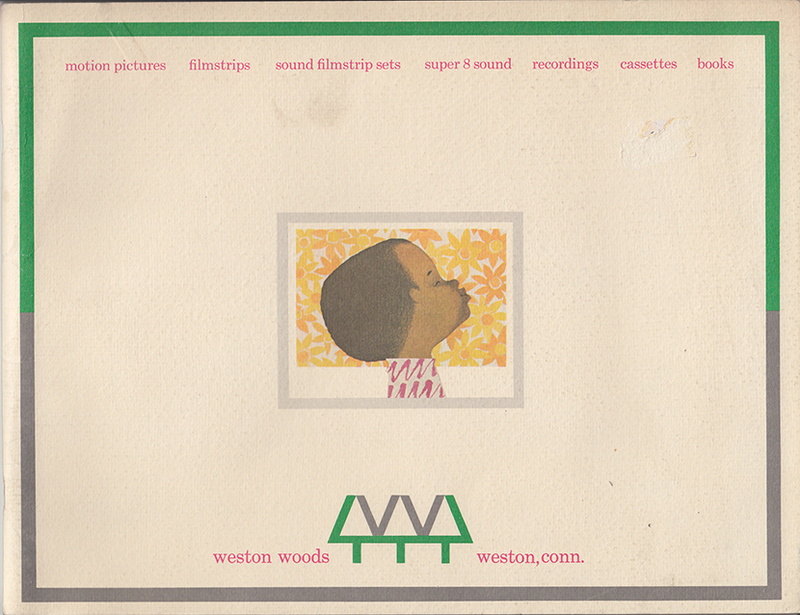 Front cover of Weston Woods catalogue, featuring Ezra Jack Keats’ A Whistle for Willie.